The perfect teddy bear picnic gift. 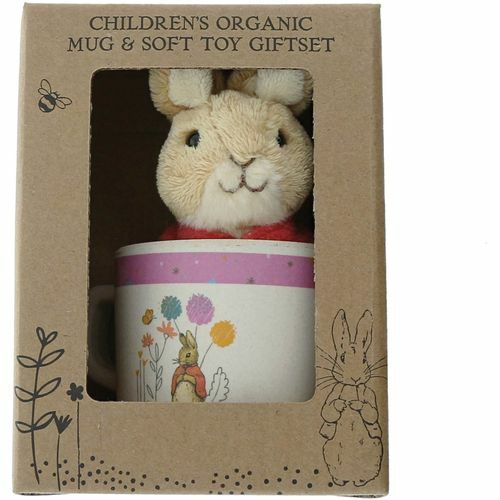 This Flopsy organic bamboo mug and soft toy giftset will make a wonderful keepsake, and is great for playing with your much-loved Beatrix Potter character. A lovely gift for a young child, this fresh and natural, eco-friendly mug can be enjoyed at home or in the garden. Mug Material: Organic Bamboo, Height 6.0cm. Presented in an eco-friendly branded gift box.